The settlement of the Nagorno-Karabakh conflict will ensure development in the region, Turkish Presidential Aide Yalcin Topcu said, Trend reports via the country's media. 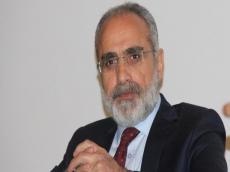 The continuation of the conflict is a real threat to the security of the region, Topcu said. The whole world, including the UN, recognizes that Azerbaijani territories are under occupation, he added.